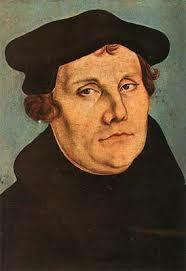 Reformation Day is October 31 each year. I was away on personal time and did not post this as I wanted, so I am sharing it now. It comes from Ligionier Ministries blog and is written by Robert Rothwell. This last issue is probably Luther’s most significant contribution to Christian theology. Though preached clearly in the New Testament and found in the writings of many of the church fathers, the medieval bishops and priests had largely forgotten the truth that our own good works can by no means merit God’s favor. Salvation is by grace alone through faith alone, and good works result from our faith, they are not added to it as the grounds for our right standing in the Lord’s eyes (Eph. 2:8–10). Justification, God’s declaration that we are not guilty, forgiven of sin, and righteous in His sight comes because through our faith alone the Father imputes, or reckons to our account, the perfect righteousness of Christ (2 Cor. 5:21). This entry was posted in Apologetics, Church History, Luther, R.C. Sproul, Reformation, The Expositor on 5 November 2010 by theexpositor. Is the Reformation over? There have been several observations rendered on this subject by those I would call "erstwhile evangelicals." One of them wrote, "Luther was right in the sixteenth century, but the question of justification is not an issue now." A second self-confessed evangelical made a comment in a press conference I attended that "the sixteenth-century Reformation debate over justification by faith alone was a tempest in a teapot." Still another noted European theologian has argued in print that the doctrine of justification by faith alone is no longer a significant issue in the church. We are faced with a host of people who are defined as Protestants but who have evidently forgotten altogether what it is they are protesting. Contrary to some of these contemporary assessments of the importance of the doctrine of justification by faith alone, we recall a different perspective by the sixteenth-century magisterial Reformers. Luther made his famous comment that the doctrine of justification by faith alone is the article upon which the church stands or falls. John Calvin added a different metaphor, saying that justification is the hinge upon which everything turns. In the twentieth century, J.I. Packer used a metaphor indicating that justification by faith alone is the "Atlas upon whose shoulder every other doctrine stands." Later Packer moved away from that strong metaphor and retreated to a much weaker one, saying that justification by faith alone is "the fine print of the gospel." The question we have to face in light of these discussions is, what has changed since the sixteenth century? Well, there is good news and there is bad news. The good news is that people have become much more civil and tolerant in theological disputes. We don’t see people being burned at the stake or tortured on the rack over doctrinal differences. We’ve also seen in the past years that the Roman communion has remained solidly steadfast on other key issues of Christian orthodoxy, such as the deity of Christ, His substitutionary atonement, and the inspiration of the Bible, while many Protestant liberals have abandoned these particular doctrines wholesale. We also see that Rome has remained steadfast on critical moral issues such as abortion and ethical relativism. In the nineteenth century at Vatican Council I, Rome referred to Protestants as "heretics and schismatics." In the twentieth century at Vatican II, Protestants were referred to as "separated brethren." We see a marked contrast in the tone of the different councils. The bad news, however, is that many doctrines that divided orthodox Protestants from Roman Catholics centuries ago have been declared dogma since the sixteenth century. Virtually all of the significant Mariology decrees have been declared in the last 150 years. The doctrine of papal infallibility, though it de facto functioned long before its formal definition, was nevertheless formally defined and declared de fide (necessary to believe for salvation) in 1870 at Vatican Council I. We also see that in recent years the Roman communion has published a new Catholic catechism, which unequivocally reaffirms the doctrines of the Council of Trent, including Trent’s definition of the doctrine of justification (and thus affirms that council’s anathemas against the Reformation doctrine of justification by faith alone). Along with the reaffirmations of Trent have come a clear reaffirmation of the Roman doctrine of purgatory, indulgences, and the treasury of merits. At a discussion among leading theologians over the issue of the continued relevance of the doctrine of justification by faith alone, Michael Horton asked the question: "What is it in the last decades that has made the first-century gospel unimportant?" The dispute over justification was not over a technical point of theology that could be consigned to the fringes of the depository of biblical truth. Nor could it be seen simply as a tempest in a teapot. This tempest extended far beyond the tiny volume of a single teacup. The question, "what must I do to be saved?" is still a critical question for any person who is exposed to the wrath of God. Even more critical than the question is the answer, because the answer touches the very heart of gospel truth. In the final analysis, the Roman Catholic Church affirmed at Trent and continues to affirm now that the basis by which God will declare a person just or unjust is found in one’s "inherent righteousness." If righteousness does not inhere in the person, that person at worst goes to hell and at best (if any impurities remain in his life) goes to purgatory for a time that may extend to millions of years. In bold contrast to that, the biblical and Protestant view of justification is that the sole grounds of our justification is the righteousness of Christ, which righteousness is imputed to the believer, so that the moment a person has authentic faith in Christ, all that is necessary for salvation becomes theirs by virtue of the imputation of Christ’s righteousness. The fundamental issue is this: is the basis by which I am justified a righteousness that is my own? Or is it a righteousness that is, as Luther said, "an alien righteousness," a righteousness that is extra nos, apart from us — the righteousness of another, namely, the righteousness of Christ? From the sixteenth century to the present, Rome has always taught that justification is based upon faith, on Christ, and on grace. The difference, however, is that Rome continues to deny that justification is based on Christ alone, received by faith alone, and given by grace alone. The difference between these two positions is the difference between salvation and its opposite. There is no greater issue facing a person who is alienated from a righteous God. This entry was posted in R.C. Sproul, Reformation on 27 May 2010 by theexpositor. 1. Our Lord and Master Jesus Christ, when He said Poenitentiam agite, willed that the whole life of believers should be repentance.2. This word cannot be understood to mean sacramental penance, i.e., confession and satisfaction, which is administered by the priests. This entry was posted in Church History, Luther, Reformation on 29 October 2009 by theexpositor. Is the Reformation over? There have been several observations rendered on this subject by those I would call “erstwhile evangelicals.” One of them wrote, “Luther was right in the sixteenth century, but the question of justification is not an issue now.” A second self-confessed evangelical made a comment in a press conference I attended that “the sixteenth-century Reformation debate over justification by faith alone was a tempest in a teapot.” Still another noted European theologian has argued in print that the doctrine of justification by faith alone is no longer a significant issue in the church. We are faced with a host of people who are defined as Protestants but who have evidently forgotten altogether what it is they are protesting. This entry was posted in R.C. 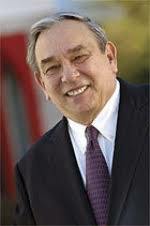 Sproul, Reformation, Reformed Theology, Roman Catholicism on 29 October 2009 by theexpositor. Reformation means: to right the wrong; to remedy error; to be returning to a rightful course; to rescue from erroneousness. The Greek word rendered reformation (diorphosis) means emendation, improvement, reform. It refers to putting a thing back in correct or upright condition; making it better; or raising up and restoring that which is fallen down. A “hapax legomenon”, this word is mentioned only once in the N.T. found in Hebrews 9:10 which says, “but deal only with food and drink and various washings, regulations for the body imposed until the time of reformation.” This is unmistakably refering to the gospel setting all things right in Christ Jesus–our once for all sacrifice for sins compared to the old covenant (cp, Acts 3:21; Hebrews 8:8-12; 9:23). Unfortunately, many today that the Scriptures heralded, obeyed, and lived in the power of the Holy Spirit are not enough. They are deficient and inadequate to meet the needs of our comple, postmodern times. Thus, new movements like the emerging/emergent church spring up to try and address the needs of our time; but ultimately find themselves falling woefully short for their emphasis is more on the pragmatic than the eternal. This entry was posted in Reformation, Reformed Theology on 5 November 2007 by theexpositor. Should the church seek revival or reformation? That is a question that I have pondered and we will discuss it with Dr. Thomas Ascol, Pastor of Grace Baptist Church in Cape Coral, Florida and Executive Director of Founders Ministries and Editor of the Founders Journal. Dr. Ascol says revival or reformation is something that he has thought a great deal about as well. Don’t miss this program! You can listen to The Mike Corley Program live at 1pm ET/12noon CT HERE ONLINE, or on delay at OnePlace.com. This entry was posted in MCP, Reformation on 2 October 2007 by theexpositor. Do you really think the SBC can be reformed? First we have to set a few parameters by asking a couple of questions. 1. Does the Southern Baptist Covention need to be reformed? 2. Are we talking about the entire convention or its leadership and direction? 3. What do we mean by “reform”? With these questions asked, I refer you to a brief response and an extended article by Dr. Thomas Ascol of Founders Ministries on the subject of reformation within the SBC. *Do you really think the SBC can be reformed? *Why Work for Reformation Within the Southern Baptist Convention? This entry was posted in Reformation, SBC on 18 April 2007 by theexpositor.